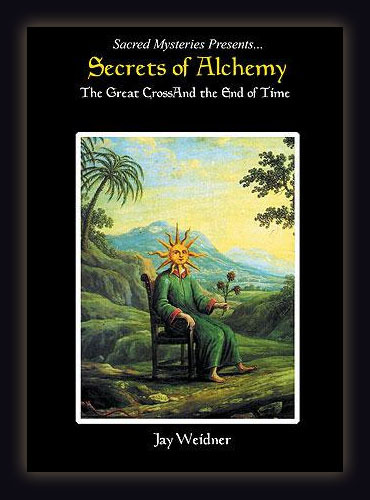 In this visually compelling and thought provoking documentary, author, scholar and modern day Indiana Jones, Jay Weidner uncovers some of the deepest secrets of the ancient western tradition of Alchemy - the knowledge of the fatal season of the apocalypse, the end of time and the great and imminent transformation of humanity. Using the work of the mysterious twentieth century French Alchemist, Fulcanelli as his foundation, and his discovery of a three hundred fifty year old Alchemical cross in the South of France, Jay Weidner describes the experiences insights and powerful evidence that opened the door to a new view of the intimate relationship between myth, history, science and the true destiny of humanity. In doing so, he reveals the ultimate meaning underlying the resurrection of Christ, the message of the book of the Revelation, the vision of Ezekiel and the Kabbalistic concept of the "Restoration of the World".